Crystal Structures has been around a very long time. And every once in awhile we get nostalgic for those projects that first got us started in the commercial business of sloped glazing. This is one of those projects, a curved eave solarium. 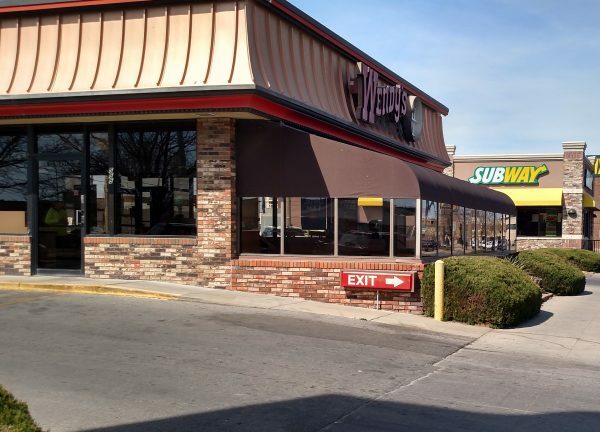 Wichita has many fast food restaurants. Some people joke that Wichita is the fast food capital of the world. 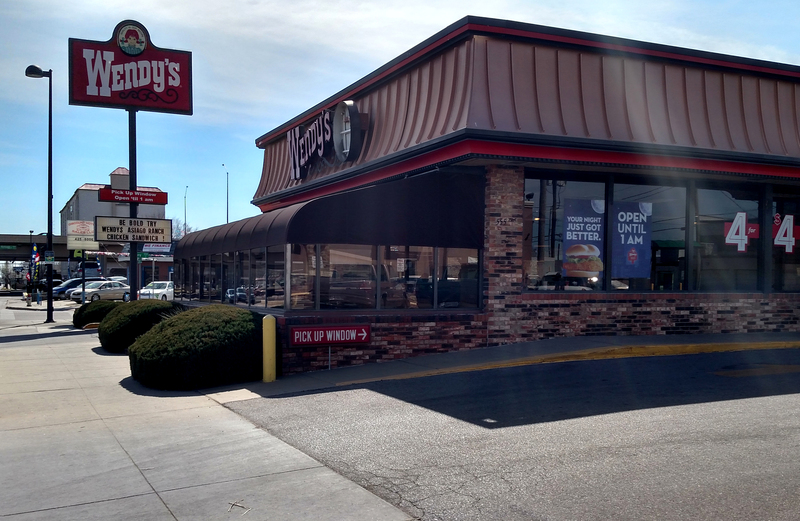 And though they be many, one of the hometown favorites since 1975 is Wendy’s. 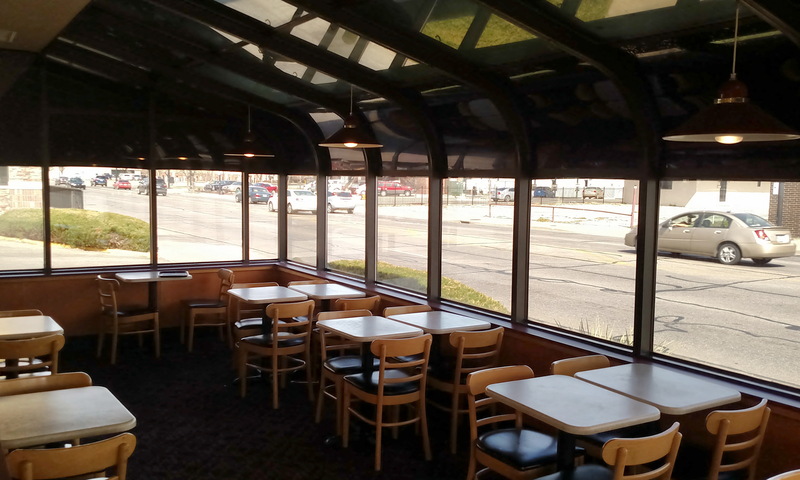 The chain is ranked as the third largest fast food restaurant with over 6500 locations worldwide. Their unique rectangular shaped burgers, sea salt fries and frosty dessert have been staples in our community for a very long time. 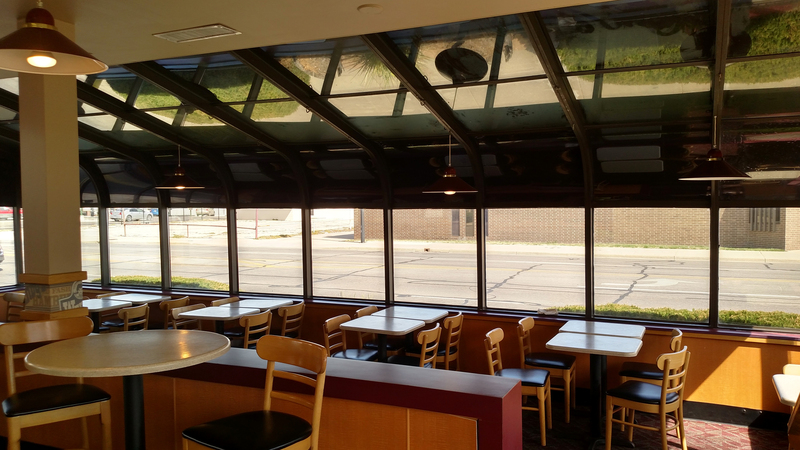 The Wendy’s at 555 S. Broadway in downtown Wichita was among the first to be designed with our unique curved eave dining areas. 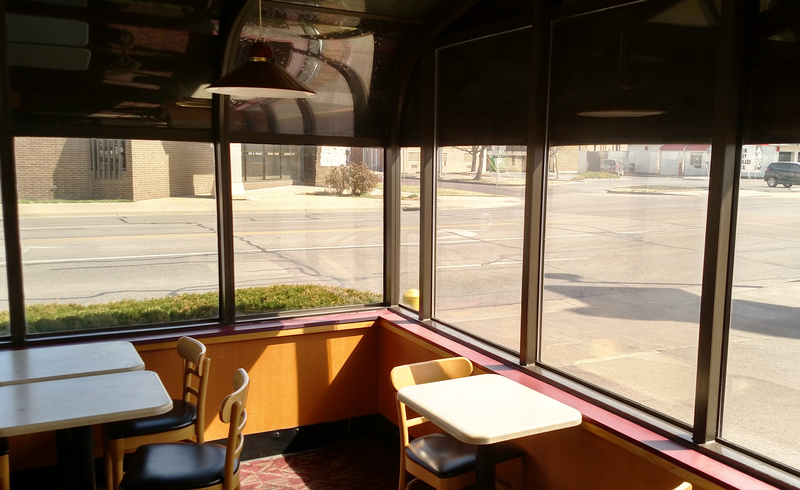 Now, almost 40 years later, the Wendy’s featuring the Crystal Structures solarium is still in service. Below are recent photos of the Wendy’s solarium.